Badminton is a sport that has been around since the 16th century, is played indoors and the pinnacle comes from its Olympic events. The sport is very popular in Asian countries such as China and India with these countries leading the way by producing some of the world’s best players. There are benefits common to all sports. Badminton is the perfect sport for health enthusiasts and one heading in that direction. Playing a sport has a lot of benefits and two of them is that you increase your endurance and stamina. 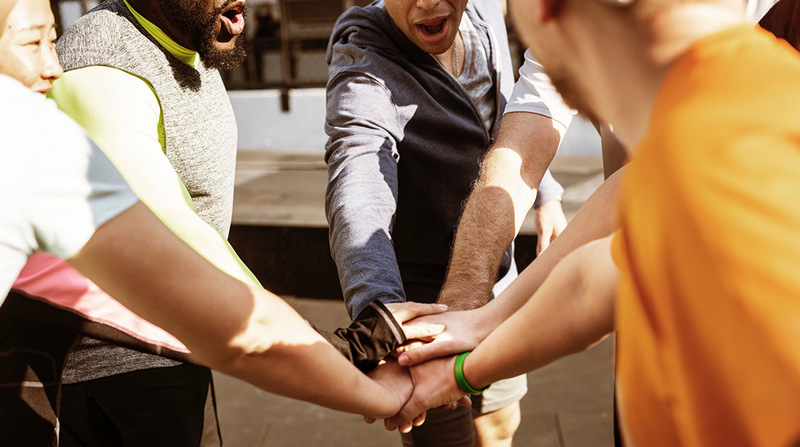 You get fitter as you play, and as you need an opponent(s) or a partner there’s a highly social element, which creates commitment to playing and a feel-good factor afterwards. Badminton is a great body-toning workout, it involves a lot of physical activity. Between the running, lunging, diving and ball hitting, playing badminton burns fat at approximately 450 calories per hour. In fact, two-gamematch professional players run the equivalent of one mile (1.6km). So, if you start playing badminton regularly can help you shed as much as 4 Kgs in a month. Because of its fat-burning and metabolism boosting qualities badminton helps you to control your weight. If you the course of Badminton game with proper diet you will achieve an optimal weight loss. With cardio-pulmonary function involved during playing badminton, your body gets in the habit of sweating naturally, eliminating toxins and improving your metabolism. Moreover, playing Badminton improves your metabolism and leaves you burning calories for hours after you have left the court. The fast-paced nature of the sport increases the speed, improves reflexes, thereby adding that level of athleticism in the body. Playing badminton frequently can help to increase your level of physical fitness: playing the game improves coordination, flexibility and balance because of the agility that's required to aim correctly and move to hit the birdie when it comes to your side of the court. Because badminton promotes physical fitness, it helps to reduce stress and anxiety. As with all forms of physical exercise, badminton can reduce or eliminate your risk for many health problems, such as high blood pressure, diabetes and obesity. If you are someone who has a very busy routine and this results in excessive stress, then you need to spare 15-30 minutes of your daily time and play badminton. It is a very intense sport and involves physical exertion. The extra physical activity helps to keep your mind relaxed and alleviated stress on your body. This game is not less than an exercise and when you exercise, the brain helps you to relax and improve your mood. It also helps in maintaining a good sleeping cycle by relaxing your mind. Is Badminton good for the heart? Badminton is considered as a moderate-intensity activity and it is recommended for any healthy adult to practice an aerobic activity for at least 150 minutes per week, so you can play badminton for that reason. Badminton help people with hypertension, particularly people with prehypertension where the blood pressure ranges from 120/80 to 139/89 mmHg, as practicing sports like badminton game will prevent the occurrence of the disease. It lowers the blood pressure and produces chemicals which counter the drug’s addictive properties. It can decrease the production of sugar by the liver and therefore can decrease fasting blood sugar. Playing badminton will help in the regulation of production of insulin from pancreas as well as the glycolysis process, which means degradation of sugars from the liver, and turn to glucose in the blood. In fact, one study from the Diabetes Prevention Program found that exercise decreased the incidence of developing diabetes by 58% even better than medication. You cannot play badminton on your own. You’ll need at least one opponent, but you can also play with a teammate and two other opponents. The social interactions of a game will result in positive feelings after a session on the court. It will give you a reason to interact with other people. Of course, it takes more than one game to get all of these benefits. You have to regularly play the game for you to notice the improvements. When you are playing at the badminton court, make sure you are having fun with your partner. You all should play in a good mood and play happily. With great power comes great responsibility and with badminton, you will develop lightening quick reflexes. Badminton is the fastest sport and hence, you need to respond quick. You need to be physically swift to reach the shuttle and mentally agile to work out where to move to return it, and how to hit it to win. The combined agility of mind and body will advance your ability to process thoughts and accurately develop a plan of action, both on and off the court. The fact that one needs to respond quickly, requires high levels of concentration. It builds on its own and helps with concentration in other avenues as well. 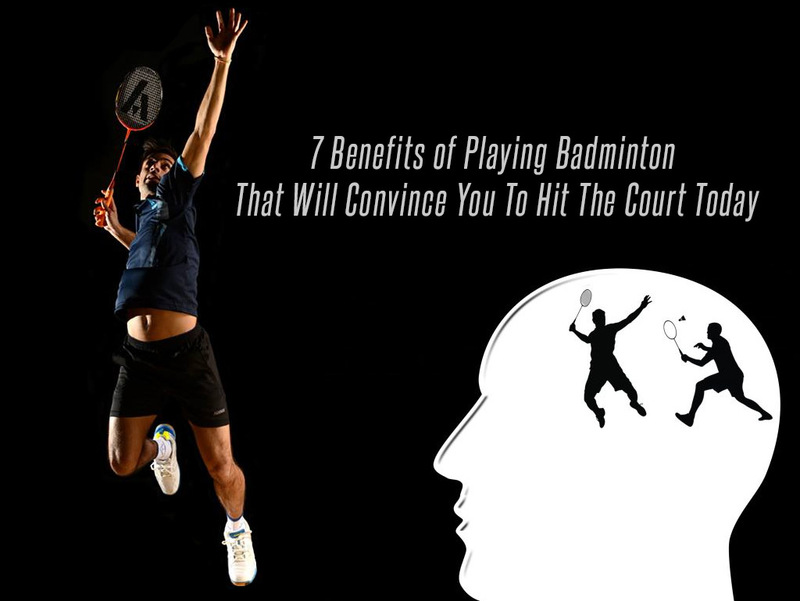 Badminton players must play not only with their hands but also with their brains. They need to study the weaknesses of the opponent. They need to come out with the right strategy to beat the opponent. Therefore, they keep exercise their brain and this will make the player to keep sane most of the time. As a result of all the health benefits badminton yields for you, you’ll have a better overall lifestyle. With better sleep, you’ll feel more active and perform better at your daily tasks. Moreover, being physically fit and having a healthy brain functioning will help you focus better and feel good all the time. To conclude, there are numerous great reasons why you should be playing badminton or participating in regular physical activity; from building strength, balance, coordination, to improving fitness and reducing the risk of illnesses. Therefore, if you are looking to get a great workout that is both fun and optimises your physical and mental performance, it’s perfect time to start playing Badminton.